Manufacturer of a wide range of products which include self support ladder hire, self support ladder rental services, aluminium self supporting extension ladders and self support extension ladder rental services. Both sides assembled with ladder section steps easy sliding of rope,stoppers and pulley arrangements high quality leg grip rubber shoes for bottom legs. We are a manufacturer of Self Support Ladder Rental Services and Providing rental services also in chennai, Self Support is a kind of ladder which can be extended to maximum height which is based on customer requirement we do customization apart from standard model. It can be used for any kinds of height works, mostly it used in industries. 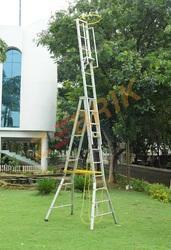 We are instrumental in offering Aluminium Self Supporting Extension Ladder, which is used power and energy sector. 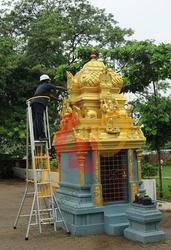 For the maintenance of external parts of bungalows, hotels and large building structures, these ladders are used. 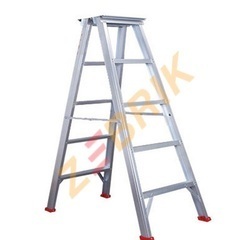 Different types of accessories are also provided with these ladders. Moreover, these ladders have a platform and a safety belt. 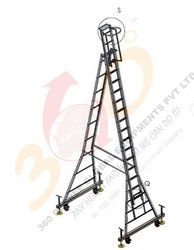 We are a manufacturer of Self Support Extension Ladder Rental Services and Providing rental service also in chennai, Self Support Extendable is a kind of ladder which can be extended to maximum height which is based on customer requirement we do customization apart from standard model. It can be used for any kinds of height works, mostly it used in industries. Looking for Self Support Ladder Hire ?